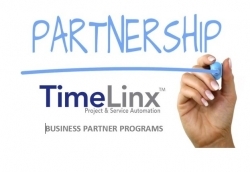 North Andover, MA, January 14, 2019 --(PR.com)-- TimeLinx, a leading project and service automation (PSA) solution designed for the mid-market with focus on Sage and Infor technologies, today announced the company’s successful transformation to its “Channel First” sales model. The company’s move to embrace and fully support channel partners comes on the heels of the company’s appointment of Jeffrey Gregorec as the company’s Executive Vice President and General Manager. Gregorec has extensive experience on both sides of the channel. He has built and supported successful channel programs in key executive sales positions at companies such as Computer Associates, KnowledgeNet and Sage Software. He has also been a part of the channel in his executive role at Blytheco, one of the nation’s largest ERP/CRM integrators. “As we begin reaching out to the market, we encourage potential partners to contact us directly and get in on the ground floor of our ‘Channel First’ transformation,” Gregorec said.